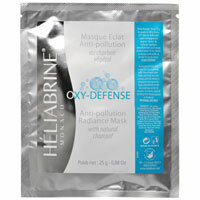 HELIABRINE Anti-Aging Facial Mask with Fig and Orange: This mask tones and protect the skin from premature signs of ageing due to dryness. It provides an energizing cocktail that nourish and deeply moiturize making the skin look fresher and younger looking. It protect the skin against daily external aggression and gives that perfect glow each time.